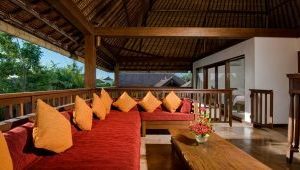 Furnishings throughout are elegant and thoughtfully selected to create a relaxing and homely ambiance. 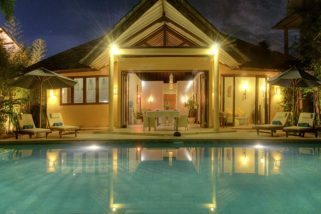 Enjoy satellite TV channels and DVD players, plus pre-loaded iPods with Bluetooth Cambridge, Bose and JBL speakers. 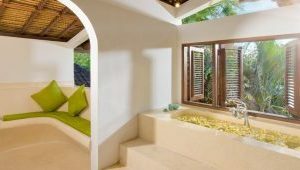 One lounge room is air-conditioned and on the upper level an open-air living area is fan cooled. 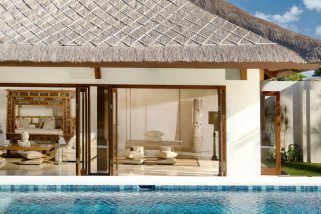 A bale pavilion overlooks the large swimming pool in private tropical gardens. 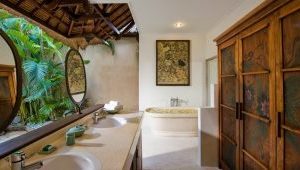 Generous bedroom suites come with king-size beds and luxurious bathrooms, all with large soaking tubs and some with open-to-the-sky showers set in pretty courtyard gardens. 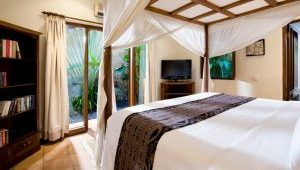 Villa Kubu is serviced by highly trained staff and take great pride in ensuring all guests have a pleasant and relaxing stay. 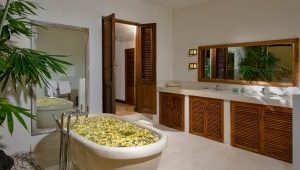 Housekeeping staff maintain the villa impeccably and the villa manager will attend to your every need. 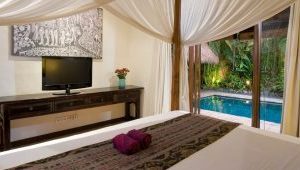 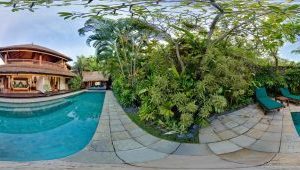 Located within upscale Seminyak, just a few hundred metres from the beach and also the world famous Kudeta Beach Club, Villa Kubu is perfectly positioned for you to enjoy the perfect Bali holiday.